Tomorrow, Thursday 12th November at 7.00pm there is another opportunity to have a guided tour of Adam Neate's solo show 'A NEW UNDERSTANDING'(blogged here). By popular demand, Elms Lesters' curator Paul Jones will be conducting four more guided tours of the exhibition. We were fortunate to have a guided tour of the show from Paul the night after the opening and can highly recommend it. 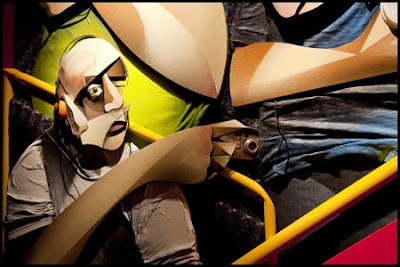 If you are in London you don't want to miss this if you are an Adam Neate fan. The talk will last approximately 45 minutes.